Summer 2011 Oaxaca Photography Expedition: Market Towns and Artisan Villages. 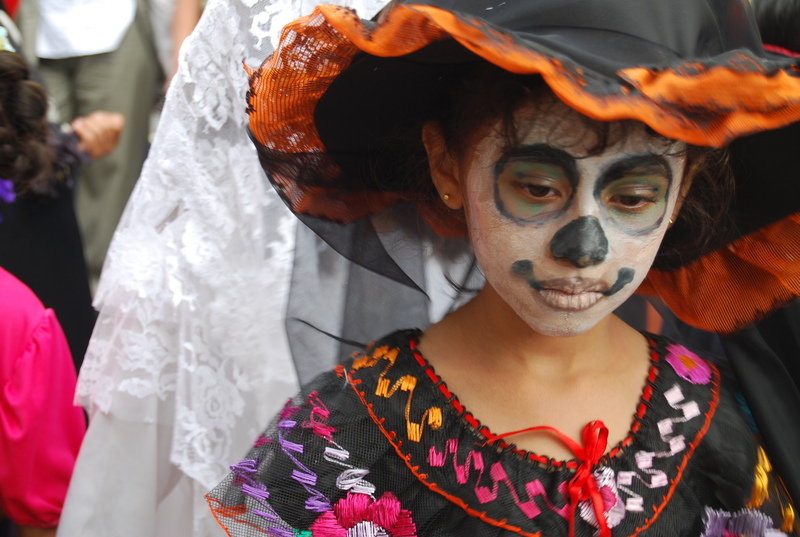 COURSE DESCRIPTION–DAY OF THE DEAD PHOTO TRAVEL WORKSHOP: October 29-November 4, 2010. 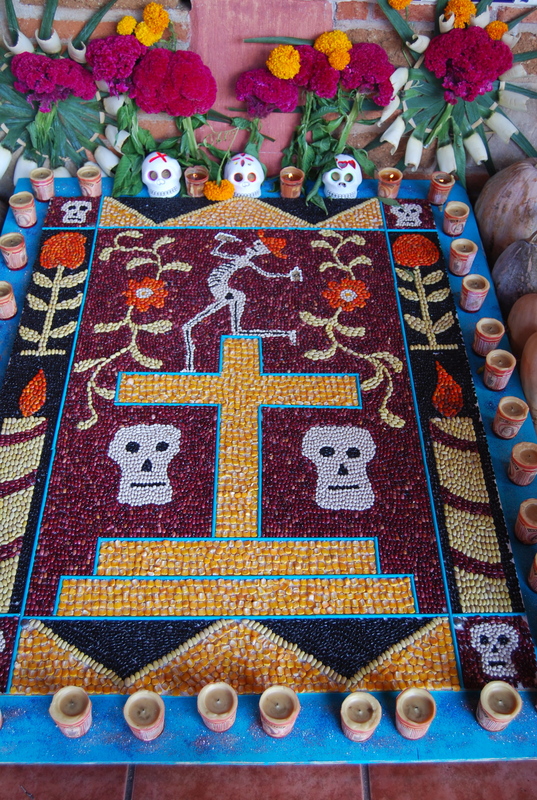 Explore the magic and mystery of Day of the Dead – a feast for the visual senses – a six-night, seven-day expedition that immerses you into the heart of Oaxaca, Mexico. During this annual religious and cultural festival the city vibrates with color, music, and Mardi Gras-like energy. 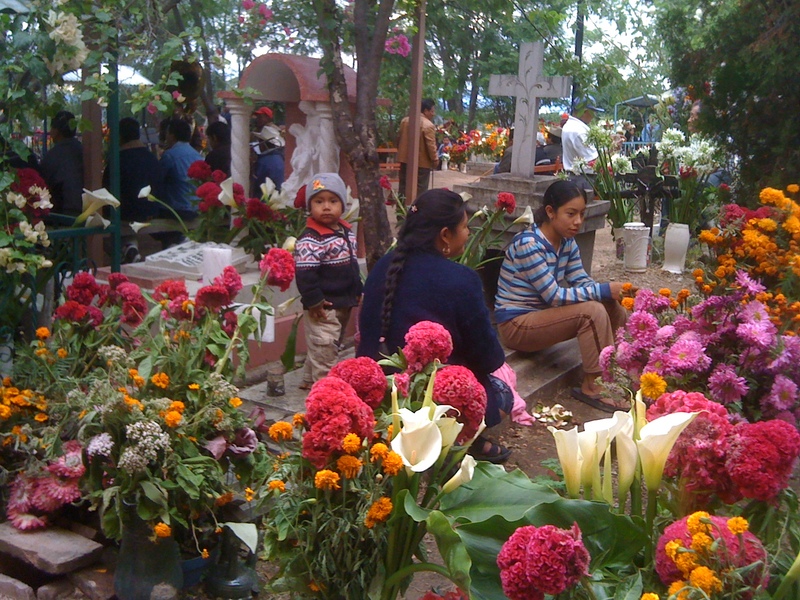 You will travel with photographer and documentary filmmaker Linda Booker, and Oaxaca Cultural Navigator Norma Hawthorne to visit and document the food, religious symbols, people, cemeteries and family celebrations both in the city and in the rural Zapotec village of Teotitlan del Valle. By the end of the workshop, you will use your digital SLR camera for visual storytelling and cultural discovery. 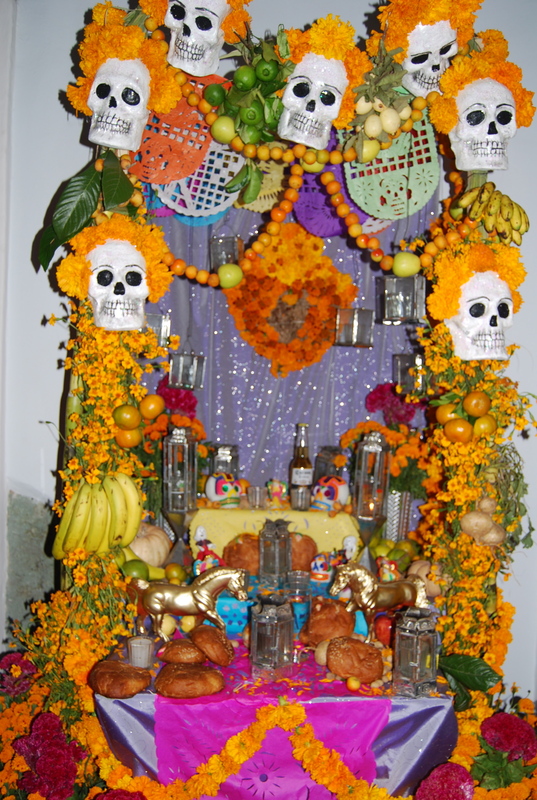 The workshop focuses on the use of color digital photography to capture, record and document the traditions and practices of this ancient pre-Hispanic celebration that has its roots in Aztec culture, mixed with Catholic ritual. 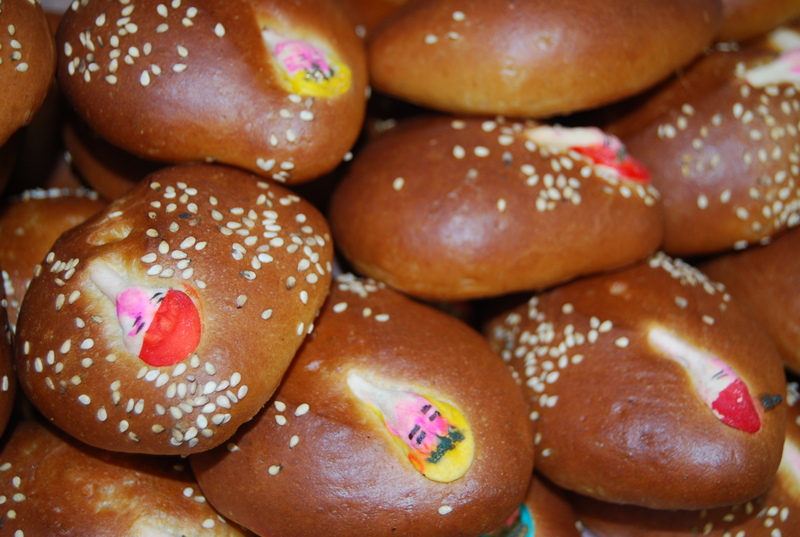 During our week together, we will roam the markets where preparations for home altars and gravesites are made: an abundance of candles, chocolate, bread, candies, fruit, flowers, the favorite food and beverage of departed loved ones. 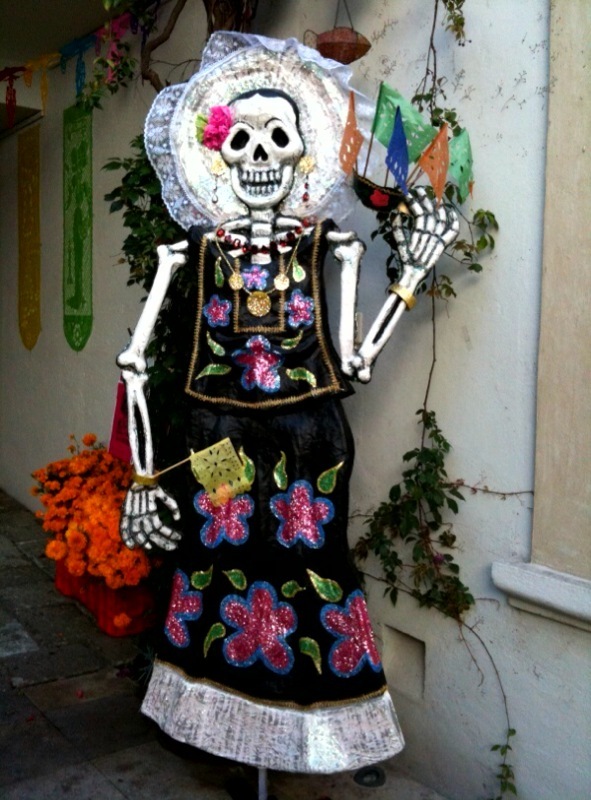 We will visit the famed Xoxocotlan cemetery to capture elaborately decorated resting places and family revelers, meander city streets to come upon masked parades, visit homes, archeological sites, and enjoy a cooking demonstration. This workshop is for beginning and intermediate-level amateur photographers who want to learn more about their digital SLR cameras and move more comfortably beyond the automatic setting. Topics covered include using natural light, composition, night-time photography, capturing emotion, focusing on details, and taking the time to set up your shot. Learning documentary-style photography is different from walking around and being a tourist! It means immersion, looking for opportunities to see things from the participant perspective. You’ll capture people in their natural state, experiment with rituals, family environments, and sense of place. During the workshop, you will review each other’s work, give feedback, encouragement and gentle critique, as we mix class instruction with being out on the streets. Linda Booker is a documentary filmmaker with a keen and creative eye. Linda’s recent documentary film, “Love Lived on Death Row,” has received high praise from lay and academic audiences when it screened at film festivals and universities across the country. She is the recipient of a grassroots community screening tour grant from the Z. Smith Reynolds Foundation and has produced documentary-style videos for North Carolina non-profits and musicians. After graduating from Florida State University in Tallahassee with a degree in visual communications, Linda Booker spent the next thirteen years as a graphic designer and art director for major publications, including Yacht Vacations, Palm Beach Illustrated, Toy & Hobby World, and Triangle Business Report. As feature photographer for Yacht Vacations, she traveled to capture images that were published in the magazine. Her work and interests have taken her to Australia, New Zealand, Canada, Costa Rica, England, Italy, France, Spain, Portugal, Puerto Rico, the Virgin Islands, Grenada, and many locations throughout the United States. Day Seven, Thursday: After breakfast, we say our goodbyes and depart. To keep this trip affordable, we have selected accommodations that are clean and basic. For the first three nights in Oaxaca, all rooms will be shared, two people to a room; each room with private bath. The Oaxaca hotel is conveniently located one block from Santo Domingo Church in the central historic district and steps away from great shopping, restaurants, museums and galleries. For the three nights in Teotitlan del Valle, you will have the option of having a double room with shared bath for the base price of the trip; single supplement with shared bath (add $100); shared room with private bath (add $200); single room with private bath (add $300). Please indicate your preference. Cost: The basic cost for the trip is $1195.00 USD. This includes six nights lodging double occupancy, six breakfasts, five lunches, two dinners, transportation to villages and archeological sites, entry fees to ruins, and all instruction. Most travel workshops of this type and length cost more than twice as much! It does NOT include airfare, taxes, gratuities, travel insurance, liquor/alcoholic beverages, some meals and transportation. A 50% deposit ($600) is required to guarantee your spot. The final payment for the balance due (including any supplemental costs) shall be postmarked by September 1, 2010. Payment may be made by check or PayPal. We will be happy to send you an itemized invoice. If cancellation is necessary, please notify us in writing by email. After September 15, no refunds are possible; however, we will make every possible effort to fill your reserved space. If you cancel before September 1, we will refund 50% of your deposit or $300. If you cancel between September 1 and September 15, we will refund 50% of your registration, or $600. We strongly recommend that you take out trip cancellation, baggage, emergency evacuation and medical insurance before you begin your trip, since unforeseen circumstances are possible.